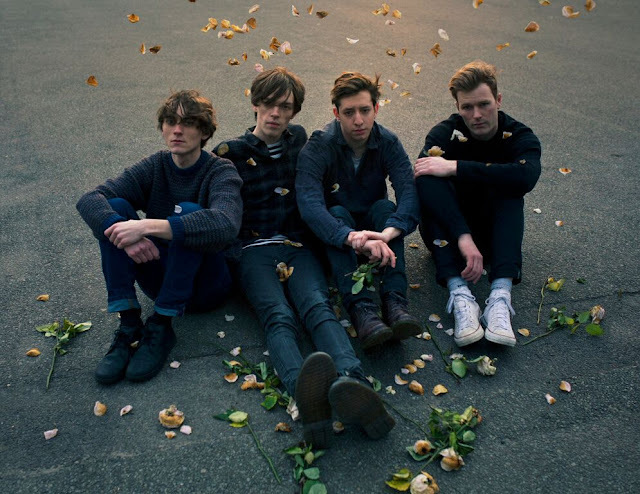 Exciting hazy indie group Gengahr have been circling the British music scene for what seems to be a short amount of time, yet they have gained a vast amount of attention for their shifting like groove that is haunting yet alluring to the mind. I hope you survived the mud at Glastonbury! We hear this is your second time playing there...How was your set this time round? It was actually our first ever festival appearance! I think we were all probably too naive to actually realise quite how important that show would end up being. We have been very lucky with the number of festivals we have been invited to play but i’m certain the exposure from Glastonbury played a huge part in that. Did you ever imagine yourselves playing at such an iconic festival when you first formed? When i was younger i would dream of it all the time. But after struggling to even get booked for local pub gigs year after year i think my expectations became far more humble. We regrettably warn you that the weather in New South Wales isn't that different to rainy London at the moment! Maybe you'll feel at home..? The weather here is AMAZING at the moment. Currently like 27 degrees and counting. I've almost forgotten what rain is like. How are you guys feeling about travelling all the way over to Australia? Personally i am very excited. Im still at that stage where flying is a bit of a thrill but a few of the others aren't quite as relaxed about the whole thing... I think they'd take the boat if they could! How did you feel when you realised that your music had gained international recognition? I guess it's pretty difficult to fully comprehend at the moment. All we have ever really wanted was to make music and get the chance to perform it to people who enjoy what we do. It's amazing that we get to do that and see amazing parts of the world at the same time. I'm not sure i will ever get over how privileged I feel right now. What aspect of your sound do you think resonates with your audience the most? I'm not sure really. It's probably different for everyone I would imagine. If you are into tight grooves then your focus is gonna be on Dan and Hugh but if you are a bit of a tech head then you will probably be geeking out over Johns guitar skills! You've been compared to big indie names such as MGMT and altj. What artists inspire you, or do you aspire to sound like? Of course there is a pretty extensive list of inspirations throughout the band but i think when we were producing the record we had to narrow that down slightly and be a little more specific with our direction. We referenced stuff like: Twin Sister, Melody's Echo Chamber, UMO, Deerhunter, Ariel Pink. Stuff like that. Tell us about the process of putting together your recently released debut album? We had a pretty extensive touring schedule last year so really it was just a case of getting the most we could done when we had the time to do it. It was all written and recorded in fairly short bursts. If we thought we had some tracks that were good enough then we would jump in the studio for a couple of days and lay them down. We tried to keep things as live as possible so once everything was set up the recording process was pretty quick. Thanks so much for the chat, can’t wait to check you guys out in Australia soon! No probs! Thanks a bunch. You can catch the guys at Splendour In The Grass this year or at one of their newly announced sideshows around Australia. Tour details can be found below.